Campervanning across New Zealand is a wonderful way to explore the beautiful landscape of the Land of The Long White Cloud. 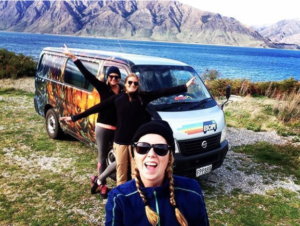 While there have been heaps of articles and advice on travelling alone, plenty of guides on taking romantic trips; there hasn’t been many articles written about Campervan NZ tips on travelling with friends. We’ve taken the liberty of putting together a few tips on making your road trip with your mates across New Zealand a memorable one. 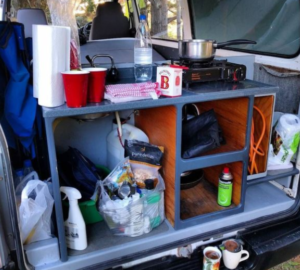 While you may have many people in your life, not all of them will be cut out for roughing it up, i.e sleeping in a campervan, cooking outdoors, losing footwear, looking for dirty socks and so forth. So if you’re considering campervanning with some of your friends, GREAT! Just consider whether they’ll be compatible for road tripping. You’ll be in close proximity of each other while travelling in your campervan for days on end and therefore your potential travelling partners should always be flexible to sudden changes in plans and a lover of meeting new people from a diversity of cultures. It would be advantageous if they’ve done this sort of thing before. Needless to say, everyone will fall into a bit of a slump while travelling. That’s why the designating of who is responsible for what is important. For example, if four of you are travelling across NZ; There needs to be 2 of you who are the primary drivers (preferably having the most experience), one who’s the planner of routes, destinations and campsite reservations and let’s not forget the meal planner. Hard-sided suitcases should not even be considered when travelling in a campervan. Pack wisely; duffel bags are a great option as they can be thrown around and easily squeezed into different areas of the vehicle. Due to storage constraints ensure that you take the bare neccesities along with you. Pack according to the activities you intend doing, e.g hiking boots if you intend hiking and as best as you possibly can, try to skimp on your day to day clothes. Be willing to wear the same clothes repeatedly, excluding your underwear of course! In order to cut down on time spent doing grocery shopping, try and pre-agree among yourselves when it comes to overall meal ideas. 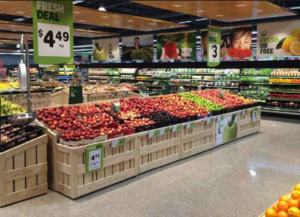 If everyone has been designated part of the shopping list and you each have your own trolley to fill, ashing down the aisles in a store and getting back on the road with be fast. While this has been a brief guide, you would hopefully have picked up a few useful tips. The main thing is that you have fun while driving through our country in one of our colourful self-contained campervans.